The original Dreamland Café is located about two miles from the intersection of Hwy 82 and Interstate 59 just south of Tuscaloosa in an area known as Jerusalem Heights. In the beginning, it wasn’t just ribs and white bread. Big Daddy and his wife, Miss Lilly, served many things from sandwiches to postage stamps. 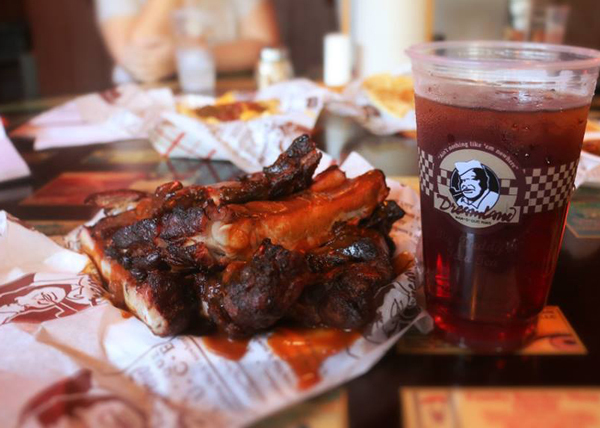 The customers always kept coming back for the warmth they felt every time they passed through the door and Big Daddy’s ribs and secret recipe bar-b-que sauce.